The Saab is one of America’s most beloved imports. It has a reputation for being one of the safer vehicles on the road. The reason you find most Saab’s passing you on the freeway, instead of you passing them on the side of the road is responsible owners. Saab owners understand the importance of routine maintenance, and the love between them and their vehicle is a two-way street. Your Saab will appreciate being left in the hands of an expert. Our ASE Certified Techs have a history of performing repairs, maintenance, and correct diagnoses for all Saabs. Our familiarity with Saab repairs is an asset to all responsible Saab drivers in Tacoma, WA. We can put you on a maintenance schedule that is specific you and your vehicle. The most vital engine maintenance are the oil and filter changes. The timing varies according to the age of your Saab, your driving conditions, and your driving habits. When you bring your timely oil change to us, you’ll receive a 30-point vehicle inspection free of charge. We keep you and your Saab safer on the road. Even the most diligent maintenance plans will eventually require a repair. From bumper-to- bumper we take care of every automotive need, starting with the braking system. Don’t wait for the noise coming from your brakes to become unbearable. Bring them into us first, at the first sign of that high-pitched squeal. Procrastination will only turn the squeal into an obnoxious metal-on-metal grinding. And that will ultimately damage your brake rotors as well. Fortunately, we do it all, so you have nothing to worry about if your braking system should happen to fail. The repairs we provide for Saabs cover everything you could possibly need, including all engine services. We can repair, rebuild, and replace your Saab’s engine giving it a whole new life. 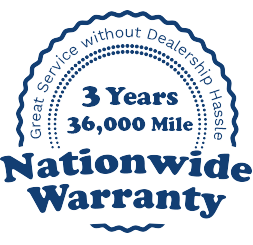 We are your go-to service provider for Saab owners. Breathe easy, next time you have a repair of maintenance need, you know who has the services you need, all at the prices you can afford.